The narration of this program is horrible. Listen to the sample!!! I wish I had. I won't ever buy a program narrated by Oliver Wyman. He ... likes ... to pause ... and to ... EMPhaSizzze ... wuh urds ... sooo MahUUCH ... that it ... will DRIVE ... you ... CRAZY, and ... you will ... LOSE ... the whole POInt ... of the bOOk!!! First the quibbles. Yes, Friedman needs an editor with the cojones to force the master be be more concise. Second, as with the World is Flat, this book would benefit from a longer view of economic history integrated into the central arguments. My only other complaint is with the "crowded" - as I think Friedman should have spent more time thinking about the impact of an aging population on rich economies. None of these complaints matter too much, as "Hot, Flat and Crowded" should represent the new middle ground of thinking about the relationship between the environment and economic development. 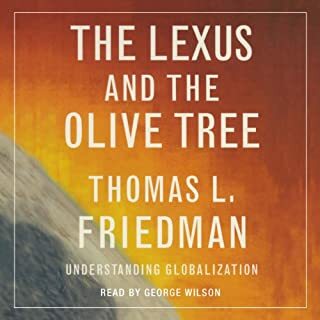 Friedman's work should be the touchstone of reality for both policy makers and voters, that we can no longer pass the costs of our oil/coal economy to future generations. That our dependence on oil is dangerous and expensive geopolitically and militarily. That the argument that global warming is both man made and dangerous to our long term security and prosperity is a scientific fact and not an opinion. That creating a clean energy economy represents an amazing opportunity to regain a competitive edge, create millions of high-paying knowledge jobs, and reduce our dependency on the military to keep oil lanes flowing. Friedman gets it right that the government needs to set-up market mechanisms to achieve these changes. One way to do this is to use the tax system to insure the people pay the true costs for oil and coal consumption, such as setting a price floor for oil and gasoline and taxing coal (which makes most of our electricity) to account for the true environmental costs. To many readers, Friedman's points will seem obvious - nothing new. What we want is for Friedman's central thesis to become the conventional wisdom across the political spectrum. While containing many good points, the book is very repetitive. Sometimes I actually thought I mistakenly backed up and was repeating chapters I'd heard already. Yes, we need policy change. Yes, we need drastic, immediate policy change. Agreed. But repeating the same points over and over don't make a point more salient. The are some blatant factual errors as well---the hybrid cars do NOT produce energy. They utilize the energy of gasoline better---he mentions that hybrids actually produce energy over and over---it's not true. A car that gets 60 miles per gallon is as efficient as a hybrid and distributes an equal amount of carbon per gallon of gas used. Getting 20 MPG for a while, then running on batteries for a while does not best superior fuel mileage. Then he rants about there being no easy solutions---and about how sick he is of hearing about CFLs saving us from energy dependence---then, a few boring hours later he suggests switching to CFLs. The core is great but this book could have been edited down to about half the size and would have had twice the impact. And some physics instruction might have eliminated some "stretches". 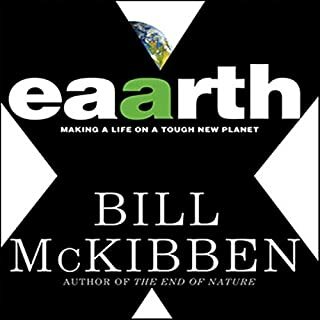 This book is full of facts and concrete reasoning that show the trouble our planet will be in without some changes to how we get our energy. 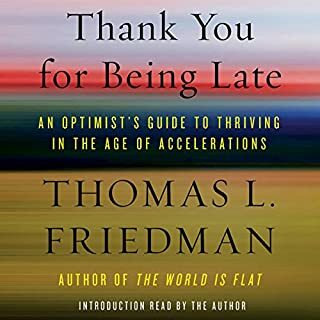 Mr. Friedman is incredibly well informed, and he clearly lays out the problem and what needs to happen to help turn the problem around. His neutral stance, free from political bias, is refreshing. It is an inspirational call to action; an invitation for all of us to get involved in the process of healing our planet. 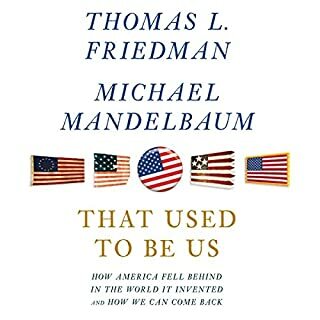 I was surprised that Thomas Friedman did not compare and contrast the current global warming situation with the Dust Bowl tragedy of the 1930s. During the 1930s, the U.S. government had refused to recognize the plight of the mid-west farmer and the devastated communities of the plain states. It took a government sponsored effort to combat and fix the problem. In addition, this books could have been shortened by 2/3. Much of this book consisted of long and drawn out examples of global warming. All in all, this book was interesting and informative but too lengthy. Friedman is a gifted observer, but a flawed analyst of energy and environmental policy. This book is without thorough critical analysis in addressing this vital subject. 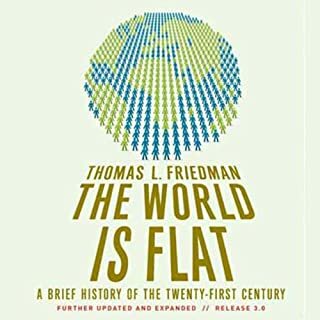 Friedman's research was an exercise in venturing forth to interview interesting people and uncritically report on their claims. The book is simply a rant; internally inconsistent, flawed by wavering objectives (here addressing global warming, there demanding renewables as if they were the same), railing against petroleum fuels with only an afterthought mention of the fact that natural gas is cleaner (natgas vehicles are available in much of the world, cheaper than gasline and about 90% cleaner). Moreoever, Friedman never draws the vital distinction between commercially viable technologies and remote technologies that require significant scientific breakthroughs. Friedman's unrelenting nag to undertake the politically correct is a thoughtless, tiresome waste of good paper. Although I agree with almost all of the points in this book, I think it was very poorly written and edited even worse. A book like this should have some repetition and variation on a theme, but there are limits, and this one is vastly over quota. It really felt like the conclusion came first, and then he went looking for supportive data. For a subject this important, it has to happen the other way. Get the abridged version and read the Chapter headings only; get a new reader and get rid of the oratorical barbiturate, Oliver Wyman; check your facts on new technologies; do not write as if Granny does not believe your story; learn to summarize; and...most of all...get back to writing something NEW. Too much information and fails to connect all information into a good story line for a good listen. Disappointed. 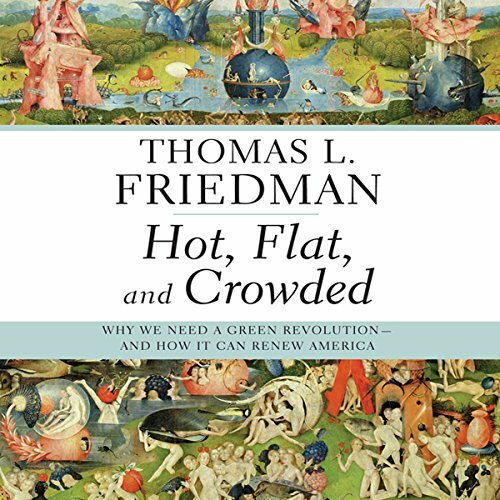 I appreciate Friedman's point of view, as I have been an environmental advocate since the early 1970s. The point of this book is to energize the American populace to jump on the bandwagon of becoming "new energy" purveyor to the world. We actually need to do this in order to benefit ourselves, but his approach is a very capitalistic way of going about "doing the right thing". 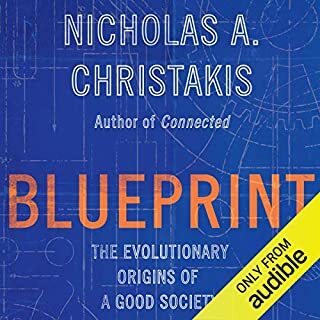 Instead of speaking to us about how profligate our lifestyle has become, he approaches the problem by saying that technology and production will allow us to maintain our position as top dogs. Admirable, in a twisted way. I found that much of this could have been conveyed without so much repetition. For this reason, I recommend the abridged version.